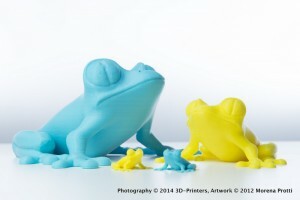 Treefrog has been the joy of many people in the 3D printing industry. Through this model they’ve learn more about 3D modeling and printing issues, experimented various materials settings and sizes, try new materials and techniques, calibrated their printer or compared it to other printers, and so over. On the Made page they then share their results, often sharing as well their printing details. 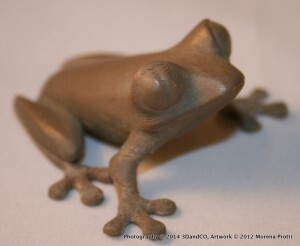 Here a selection of the most interesting uses of the Treefrog (more to come). 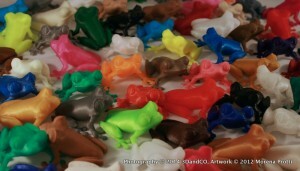 They love the Treefrog! Indeed they tested every single material they have available -over 100- with it! PLA, ABS, but also Resin, Wood filament or even Bronze, for which they wrote an accurate review! 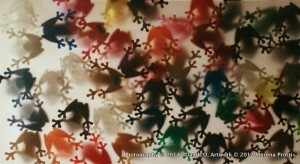 Just pick the colour that fits your tastes the best and get the print of your dreams materialized! 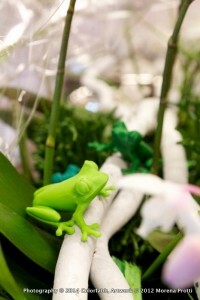 They have just the perfect colour for the Treefrog: Intense Green! See what a beautiful floral arrangement you could get! 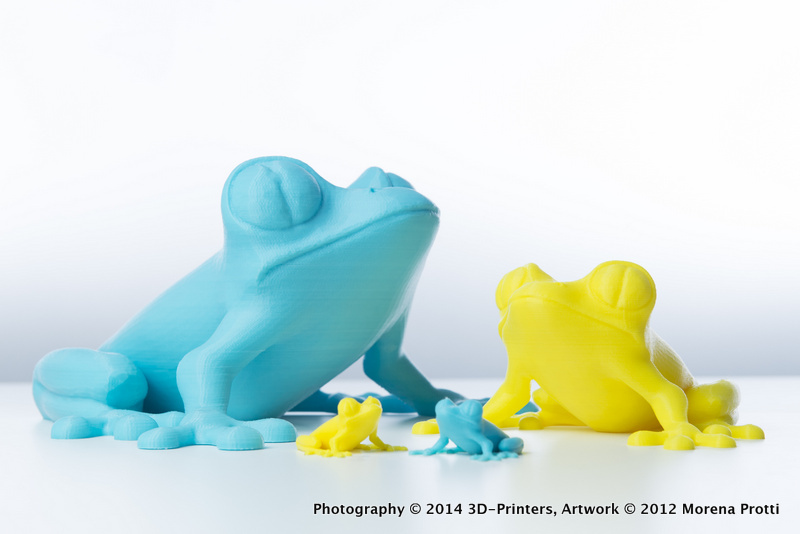 You can also check how Treefrog looks on their Ultra Marine Blue PLA/PHA filament. Treefrog Print in Colorfabb Intense Green. 3D Printers -3D printing store in Wroclau, Poland- on a Hbot 3d printer. 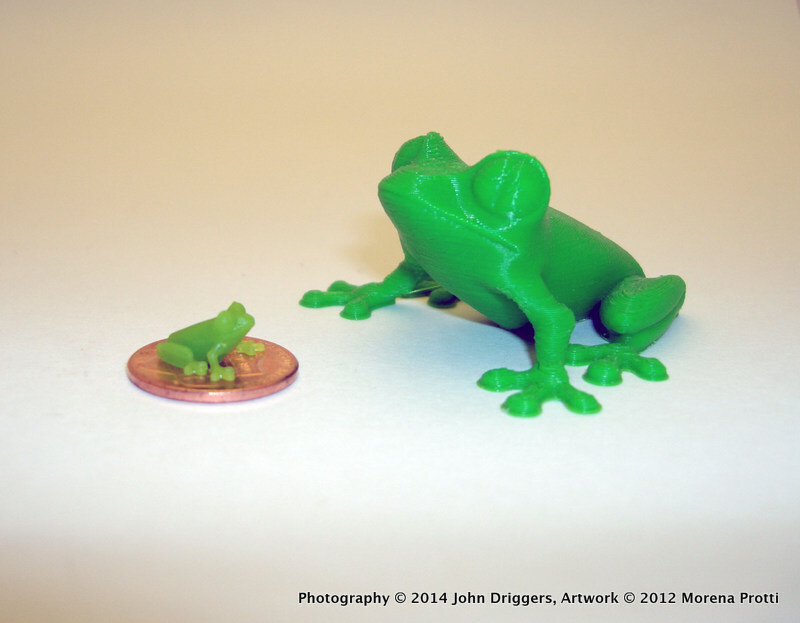 This is Perhaps the biggest Treefrog print existing up to date, large 30 cm (11.8 inches), printed on a Hbot. 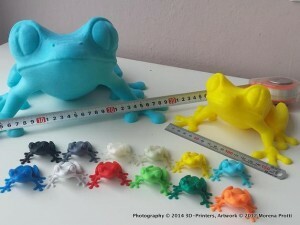 This printer has indeed a bigger platform size than regular desktop 3D printers, allowing to stretch your imagination! Thingiverse users really like to test their printer’s details ability through the Treefrog. 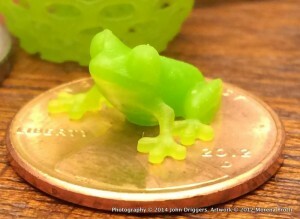 I’ve seen even smaller prints, but so far 25% scale seems to be the most successful. SystemGuy achieved a really beautiful print indeed. How cute is this?!! It can fit on a penny!